There are very few reported decisions on the approach to be taken to claims under the Inheritance (Provision for Family and Dependants) Act 1975 by minor children – most likely for a couple of reasons, it is unusual for people to fail to make provision for minor children and, where someone does fail to make provision, the merits of such claims are often obvious and rarely necessitate a trial. Ubbi v Ubbi  EWHC 1396 (Ch) is a welcome and helpful decision that clarifies the approach to be taken to claims by minor children and provides useful guidance on the difference between claims under the 1975 Act and under Schedule 1 of the Children Act 1989, and as to how matters such as housing needs, education costs and child care costs should be approached. That the parties in this particular case were unable to reach terms of settlement, was no doubt, at least in part, a consequence of the messy and unhappy situation that the deceased had left behind him. As Master Shuman put it, his “double life … led directly to the current litigation”. The deceased, Malkiat Ubbi, was a pharmacist and had built up a pharmacy business together with his wife Susan, with whom he had one disabled child and a step-daughter. In 2007, Malkiat started an affair with Bianca, a pharmacist who had taken a role in Malkiat’s pharmacy. That relationship led to the birth of a child, Mattia in March 2012. For a time, Malkiat spent time in both households – telling Susan that Bianca’s pregnancy was an accident and that he was just helping Bianca with the baby and telling Bianca that he wanted to start a new life with her. Malkiat, to the understandable consternation of Susan, moved Bianca into a rental property that he jointly owned with Susan. Shortly after that, Bianca gave birth to her second child with Malkiat, Gabriele, in July 2014. Malkiat died unexpectedly at the age of 53 years, in February 2015. By this date, proceedings for divorce had been initiated by Susan (although there was evidence that a hope of a reconciliation, at least on Susan’s part, prevailed) and Malkiat was living with Bianca. Mattia was 3 years old at the date of his death and Gabriele six months old. Malkiat last Will, made in August 2000 before the birth of Mattia and Gabriele, left his estate to Susan. Given that his Will had been made before the birth of Mattia and Gabriele was even contemplated, Malkiat’s testamentary freedom was not a relevant consideration. This was a comparatively substantial estate, with a net value of £3,371,034.68. The 1975 Act does not provide for the financial needs of a minor child to be elevated to a ‘first’ or ‘paramount’ consideration, as the Matrimonial Causes Act 1973 and the Children Act 1989 respectively provide. Needs must be considered in the round and each case determined on its own facts. Nonetheless, the fact that a claim is brought by a minor child is a vital part of the factual matrix. Whether or not a child was born within or outside of a marriage is irrelevant. How a child was treated by the deceased may be relevant. The purpose of 1975 Act awards is to provide for maintenance and whilst maintenance may be capitalised, the object is not to provide the child with a capital sum upon attaining majority. “22. In a detailed exposition Mr Weale has sought to draw a parallel between the manner in which the court should approach an application for reasonable financial provision by an infant child and the jurisdiction of the court under schedule 1 of the Children Act 1989. He refers to analysis by Andrew Francis in Inheritance Act Claims: Law, Practice and Procedure at 11 on specific issues that might arise in such an application. In broad terms this sets out the section 3 factors most likely to arise in claims brought by infant children. 23. I can see the allure in Mr Weale’s submissions. However, all that can provide me with is general guidance on how I might approach a case. He bench marks the claim by the approach the court might have taken if the application was made under Schedule 1 of the Children Act 1989 rather than the 1975 Act. I am unclear where that takes me in respect of this claim. For example, Mr Weale submits that where a respondent earns less than £156,000 gross per annum, as would have been the case here, the court would have had no jurisdiction to order maintenance payments over and above what was determined by the child support agency. His point is that Malkiat’s maintenance payments would have been limited to £256 per week for both Mattia and Gabriele. That disregards that a Schedule 1 application is wider than maintenance and this does not provide a good analogy. By way of illustration in Re M-M (A Child)  EWCA Civ 276 O was conceived during a short relationship when her parents were work colleagues. The father had no involvement in her life. The mother was dependant on benefits and sought maintenance through the CSA in 2004. The father moved to France and when he was contacted by French authorities in 2010 he agreed to pay £1,200 per month and three lump sum payments of £10,000 each. The CSA figure was £720 per month. The arrangement was not legally binding, and the mother sought an order under Schedule 1 for periodical payments of £24,000 per annum together with a lump sum of £180,000. She was awarded a lump sum of £44,620 to discharge credit card debts owed by the mother and periodical payments of £1,000 per month, which were upheld on appeal. In addition, the father was ordered to pay further periodical payments equating to 15% of his bonus, which was reduced on appeal to 11.25%. There are a number of obvious reasons why the approach under Schedule 1 must differ to that taken under the 1975 Act. Not least that the specific statutory criteria under each Act demand a different approach in each jurisdiction, but also, self-evidently, there are distinctly different considerations when provision is being made by a parent who is alive and has a continuing income stream as against provision from the estate of a deceased parent where there is ordinarily capital but no earned income from which to make provision. This sort of research can be a useful aid to help clients think about the heads of costs that need to be considered for the maintenance of minor children, but, rightly, the focus in quantifying the claim must be upon the individual needs of the children in question. The concept of maintenance, as emphasised by Lord Hughes in Illot v Mitson and Master Shuman in Ubbi, is flexible and falls to be assessed on the facts of each case. Bianca’s position at trial was that the children’s needs should be assessed at £1,749,744.78. On Susan’s case, their needs were put at £647,011.18. Bianca had fairly substantial resources of her own, consisting of her income as a pharmacist and capital resources of c. £1,201,213 million. Bianca had made an apparent concession that she would contribute 65% of her income towards the needs of the children. In order to offset this contribution against the children’s capitalised maintenance needs, her anticipated income was capitalised over an 18 year period to yield a contribution in lump sum terms of £901,639. Thus on Bianca’s case, a contribution of £848,105.78 was sought from the estate. On Susan’s case, nothing was to be paid from the estate (on the basis that Bianca’s proposed contribution exceeded the children’s needs as contended for by Susan). Ultimately, Master Shuman assessed the lump sum to be paid by the estate at £386,290.60. Seemingly (some of the constituent elements were assessed by reference to a schedule and not laid out in the judgment), this was based upon assessing the children’s needs at £1,287,929.60 to which Bianca was to contribute £901,639 over the years. I say that Bianca had made an apparent concession as this transpired to be a contentious point, necessitating further submissions after judgment had been handed down in draft. It was said that this concession was made on the basis that the children’s needs were assessed a £1,749,744, and predicated on the basis that Bianca would therefore be making a 51% contribution to their needs. It was argued that to fix Bianca’s contribution at £901,639 but to assess the needs of the children as lower would disproportionately burden Bianca with the costs of their maintenance. Master Shuman in an addendum to the judgment, and after consideration of the correspondence in which the concession had been made, refused to allow Bianca to resile from this position. The parties were in agreement that provision should be made on a clean break basis by way of lump sum. It was also agreed that a multiplier multiplicand methodology, using Ogden table 28 for each of the on-going costs to be incurred in raising Mattia and Gabriele, should be applied. The main points of contention in the assessment of the children’s income needs were housing needs, eduction and child care costs. As to housing, Master Shuman assessed the children’s needs on the basis of suitable rental accommodation, instead of providing for the purchase of a property. The parties had produced property particulars and ultimately, Master Shuman considered that the children’s needs were for a four-bedroomed property until the eldest child attained independance, whereafter Bianca could downsize to a three bedroomed property. This was, as one would expect, the largest head of need yielding a capitalised income need of £701,950 (but still cheaper than purchasing in the area). A negative discount rate of -0.75% was adopted in determining the relevant multiplier. Master Shuman rejected the claim that the children’s maintenance needs should include the costs of private education. Bianca’s evidence was that Malkiat intended the children to be privately educated. However, it was found that there was no firm intention on the part of Malkiat to privately educate the children. The income of the parties would have been insufficient to fund private education for both boys to university level, or certainly not without a significant reduction in their living standards. Bianca’s claim that she needed the support of a professional nanny, rather than an ad hoc au pair was accepted. A ‘dose of reality’ was required. If Bianca were to work the hours and earn the income at the level suggested by either party then she must have proper child care for the children. A capitalised sum of £234,234 was justified on this head of need and amounted to reasonable financial provision. Whilst the circumstances of Malkiat and Susan’s disabled son were considered, the size of the estate and Susan’s own resources, were such that his needs were not really in competition with the claimants’ needs. 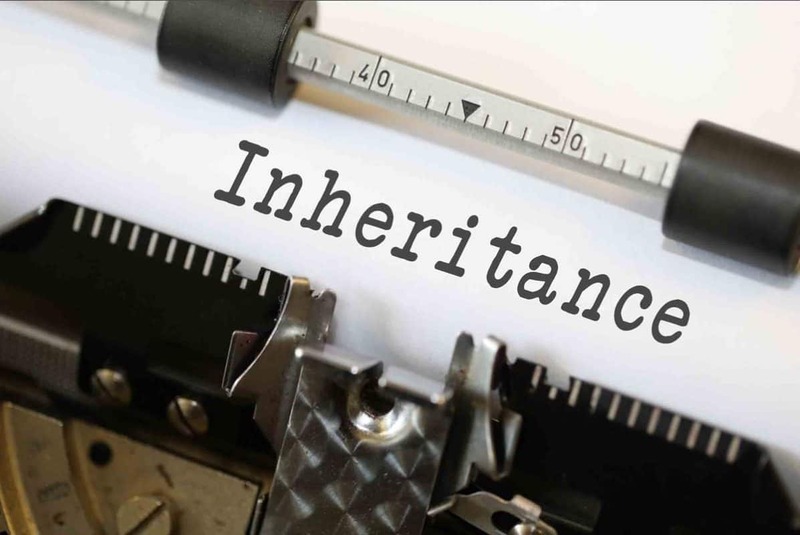 Perhaps the key takeaway from this case, for lay clients planning their Wills and for those who advise them, is that major life events necessitate revisiting one’s testamentary provisions! The impression from the judgment is that Malkiat was a flawed but essentially loving man, and the mess that he left the women and children in his life in is a tragedy that he no doubt would not have wished upon them. In Malkiat’s case, he died suddenly and unexpectedly. However rare these sorts of events are, they happen and an enormous amount of expense and heartache could very likely have been avoided if he had had the foresight to revisit his Will. The objective with minor claimants is to provide for their minority, not to give them a capital award upon attaining majority. The idea is therefore to provide a sum that will be exhausted once they are no longer dependant. Very sensibly there was no dispute between the parties as to the methodology for calculating the claim. For each recurring head of need, Ogden Table 28 was used to identify the appropriate multiplier to apply to the annual cost. In line with the approach taken to the assessment of special damages in personal injury cases a negative discount rate of -0.75% was adopted – thus to capitalise annual housing needs over an 8 year period, for example, a multiplier of 8.25 applied. This reflects the current low interest rates on cash savings, which will grow at less than the rate of inflation. That approach can be justified not only by consistency of approach with PI cases (where a discount rate of -0.75% now applies on special damages) but also bearing in mind that limited investment risk can be taken with an award that is intended to provide for recurring items of expenditure during the dependancy of a child. Needs are a very flexible concept and reference to the average costs of raising a child is of no real assistance. The needs and circumstances of the individual children in question must be considered. This was a case where provision was made notwithstanding the fact that Bianca was comparatively well off. There may well be cases where the fact that a mother is in a reasonably comfortable position will significantly limit or even preclude provision – where dealing with a more modest estate and where there are beneficiaries in necessitous circumstances. The approach taken to housing need was to make an award that would enable Bianca to find rental income of suitable size and in a suitable location. The parties in this cases wanted to achieve a clean break. In another case, it may be appropriate for funds to be settled on trust for the purchase of a property on terms that will provide for the reversion of the capital upon the children attaining majority – that approach would be consistent with the approach taken to claims for housing need under Schedule 1 of the Children Act 1989 where the settled property will usually revert to the providing parent upon the children finishing their education. It would also be consistent with the views of the Supreme Court in Ilott v Mitson that claims for housing need for adults entitled to provision on the maintenance standard should usually be on a life interest basis, rather than by way of an outright award of capital. Childcare costs will often be a significant issue in a case where the surviving parent will be raising the children without the assistance of the deceased parent. Here, the concession made by Bianca that she would contribute a significant proportion of her own income, necessitated bringing childcare costs into the reckoning in order that Bianca could be supported to earn that level of income. The size of the estate and the burden placed on Bianca justified a sufficient sum to fund a nanny’s salary. Master Shuman noted that the manner in which the deceased had treated a child was a relevant consideration. In relation to education costs, s. 3(3) specifically requires the court to take into account the manner in which the applicant was being educated or in which he might expect to be educated or trained. Here the fact that it was unlikely that resources would have stretched to private education had Malkait survived, weighed against provision for school fees. The claim for school fees was something that might be considered to be desirable for the children, but was not considered to be a reasonable maintenance need. Parties are always to be commended for making sensible concessions and seeking to agree the approach to be taken to these sorts of cases. If it is intended that a concession should be taken to have been made only upon the basis of particular considerations or assumptions, that must be made clear – it is unlikely that a party will be permitted to resile from such concessions post trial.